High class, ocean view, and Christ view (recently chosen as one of the new 7 wonders of the world). One apartment per floor, living room, kitchen and service area with panoramic view to the Ipanema beach; bedrooms with view to the Christ. 24- hour doorman, intercom, 3 area living room (living room, dining room and bar), internet access (broadband), cable TV, 3 bedrooms (1 suite), 3 bathrooms, kitchen, washing/drying machine, service area, and 1 garage space (2nd space optional). 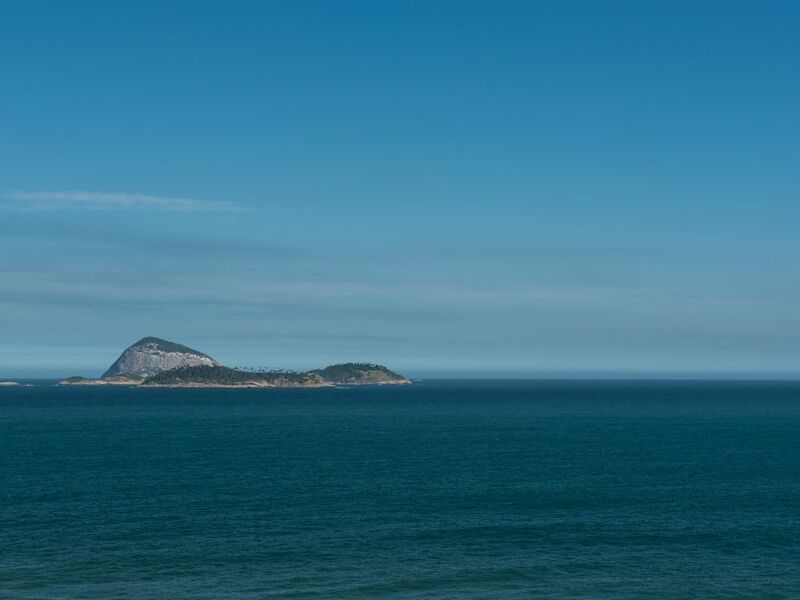 Apartment is fully furnished, capable of accommodating up to 8 people, located in the most noble area of Ipanema. Besides the conventional bathroom, the apartment has a bathroom adapted for wheelchairs. Six of us stayed here for three nights at the end of our South America cruise. We were so happy when we entered this beautiful apartment. Everything was perfect. I am in the U.S. and do not speak Portuguese, so I communicated with the owner's son here in the states. He answered emails immediately and was extremely helpful. He even called us while we were there to see if there was anything we needed help with (he knew we didn't speak the language!) Vinicius is the best! The location was fantastic. It is one block from the ocean, but has a spectacular view from the living room. The view from the bedroom windows was of Corcovado's Christ the Redeemer statue - especially beautiful when illuminated at night. It's within walking distance of Leblon Beach with its Sheraton and Shopping Leblon. We strolled the Ipanema boardwalk every day. There are also many restaurants within walking distance of the apartment. We walked to these at night and felt safe. Ligia, the owner, allowed us to store our luggage with the doorman after we checked out since our flight was leaving at 1 AM the following morning. I would highly recommend this property for your accommodations in Rio. This was the most beautiful apartment. The owners were so responsive and helpful. I couldn't have been happier. I also left money accidentally in the apartment and the owners made sure that I got it back when I returned to Rio. All and all the best experience I've ever had staying over seas. We stayed at the apartment for 8 nights and could not have chosen a better apartment. Views North and South and everything needed for a comfortable stay. The lobby security staff were helpful and we enjoyed their suggestions and assistance very much. Located one street back from the beach that is ideal - the main beach road turned out to be be great place to walk but very sterile as a desirable place to be staying. We had restaurants nearby and walked Ipanema to the end of Copacabana several times that made our stay most enjoyable. The apartment had everything we needed, was clean and we would recommend it without hesitation. This apartment is an excellent one for who is looking for comfort and location. Better place in this city is impossible, and the view of the ocean from windows of the living room and kitchen is amazing. There's nothing there that I would disapprove, everything was perfect. Dona Ligia is very professional and attentive. I'm sure I'll come back there. Este apartamento é excelente para quem está à procura de conforto e localização. Lugar melhor nesta cidade é impossível, e a vista para o mar das janelas da sala de estar e cozinha é incrível. Não há nada lá que eu desaprove, tudo foi perfeito. Dona Ligia é muito profissional e atenciosa. Certamente eu retornarei. This apartment was perfect for our trip to Rio with our adult children and one of their girlfriends. The owners are very easy to work with and accommodating. There is plenty of room for everyone to relax, cook family dinners, eat, drink, etc. And the views are incredible. The proximity to the beach and restaurants was perfect as well. Very clean and safe. PERFEITO!, ATENDIMENTO, IMÓVEL E LOCALIZAÇÃO, NOTA 10!!! The apartment is located one block from Ipanema Beach and the ?Nossa Sra. da Paz? square, on the Prudente de Morais street, between Maria Quiteria and Garcia D?Avila street, near trendy stores, night life, restaurants, banks, gyms, supermarkets, and main transportation. Acréscimo na diária de R$ 100,00 por dia por pessoa. Ano Novo/Carnaval preço p/8 pessoas. Acréscimo de R$ 1.500,00 por pessoa. -Valor pacote do Carnaval e Ano Novo me consultar pode me consultar. -Periodo abaixo de 4 diarias favor me consultar. -Pagamento de 50% antecipados e o restante cash entrada no imóvel -O pagamento deposito/transferencia ou paypal -Aceito proposta.